Weather in Portugal in march 2020 - Climate, Temperature, Where to go? Portugal in march: average Weather, Temperature and Climate, Where to go? How is the climate in Portugal in march? Is it the perfect time to visit Porto and Viana do Castelo? Look at our datas and our opinion below. Here, check out the weather forecast for march for most popular cities in Portugal. These predictions are probabilities for the month of march from weather reports for many years. The percentage indicates the possibility of having the weather mentioned. In March, there is a decrease in rainfall and a slight increase in temperature throughout the Portuguese territory - whether on the Iberian peninsula or on the Madeira archipelago. The climate throughout March in Portugal is then, more favorable for outdoor activities - especially in the south where the heat is more comfortable. The atmosphere is gradually warming despite the cool morning. With more sunshine, midday is magnificent and the afternoons gentle. In Lisbon as in Porto, one can benefit from pleasant climatic conditions. Remember, benefit from more comfort by covering well! At the beginning of the month, the weather in Portugal throughout March in the south, can be surprising with rain that occurs at any time of the day. Then the climate improves and provides the opportunity to enjoy the beautiful sunny days in the middle and at the end of the month. During the first weeks of March, the weather in Madeira is rainy - especially in the morning. This leaves on with midday and afternoons for entertainment, especially as the morning temperatures are quite cool. On the other hand, the rest of the month is favored by a more mild climate. Where to go in Portugal in march? Where should you go in Portugal in march when it comes to the weather? The climate in Portugal in march ranges from good to bad depending on the region and city. warning in march the weather varied depending on the city and regions of the country. You are lucky: It is not perfect, however, the weather in Portugal in march is, according to seasonal norms, good in Albufeira, Porto, Lagos, Faro, Cascais, Lisbon and Sintra. I allows to enjoy tours in these places. And even why not take a little time to relax under the sun! If you do not go to spend your time in a lounger by the pool, but, for example for cultural tours or hiking, the city of Viana do Castelo have a quite correct weather for this kind of activity in march. 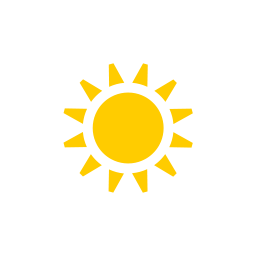 In the month of march, the mean temperature in Lisbon is 16°C (maximum temperature is 18°C and minimum temperature is 14°C). The climate is relatively cold in this location in this month, but it is tolerable by dressing cosy. With 91mm over 12 days, you will experience some showers during your stay. But this is rather reasonably and you will not be too bothered by it. With a good weather, march is a good time to go in that area in Portugal. In march, the mean temperature in Albufeira is 16°C (maximum temperature is 18°C and minimum temperature is 13°C). The climate is fairly fresh in that locality in march, but it is bearable when dressing hot. With 68mm over 10 days, rain may occur for your stay. But this is rather moderate and you will not be too bothered by it. With good weather conditions, march is a good time to go in this city. In the month of march, maximum temperature is 18°C and minimum temperature is 14°C (for an average temperature of 16°C). The climate is quite cold in that area in the month of march, but it is tolerable by dressing cosy. With 59mm over 8 days, you will experience some showers for your holidays. But this is rather reasonably and it is only of temporary showers. With good weather conditions, the month of march is a recommended month to go in that area in Portugal. In march, maximum temperature is 17°C and minimum temperature is 12°C (for an average temperature of 15°C). The climate is relatively fresh here in march, but it is bearable when dressing hot. With 183mm over 13 days, rainfall can happen throughout your trip. But this is reasonably and it is only of temporary showers. With a good climate, the month of march is a good month to go in this locality in Portugal. In the month of march, maximum temperature is 18°C and minimum temperature is 14°C (for an average temperature of 16°C). The climate is fairly fresh in that locality in march, but it is endurable by dressing cosy. With 69mm over 10 days, you risk getting wet slightly throughout your vacations. But this is reasonably and it will not be continuous. With good weather conditions, march is a good month to go in this locality. Weather data for Portugal in march is derived from an average of the weather forecast since 2009 in Portugal. There is a margin of error and these forecasts are to be considered as general information only. The weather in Portugal can vary slightly from year to year, but these predictions should limit surprises. So you can pack your bags and check when is the best time of year to visit Portugal.